Goodguys makes it a point to issue various yearly awards at their various shows throughout the year. 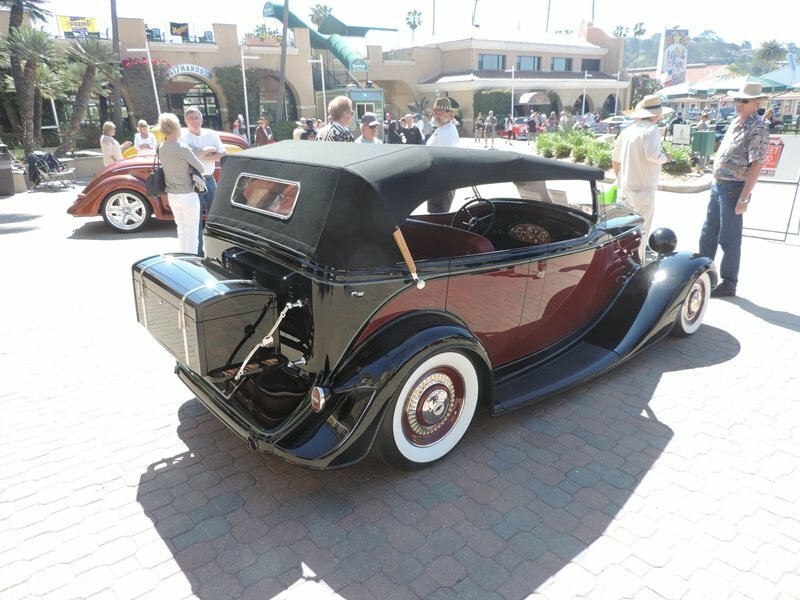 One of the first and eagerly awaited is the Goodguys/March Performance Street Rod d’Elegance award that is issued at the Del Mar Nationals. This was the 14th Nationals at Del Mar and the only time, they will be at Del Mar for this year. They have had a late Fall show in the past but it couldn’t make their schedule this year. For the region, the Goodguys show is a wakeup call for all the cars that have been cocooned for the winter season. 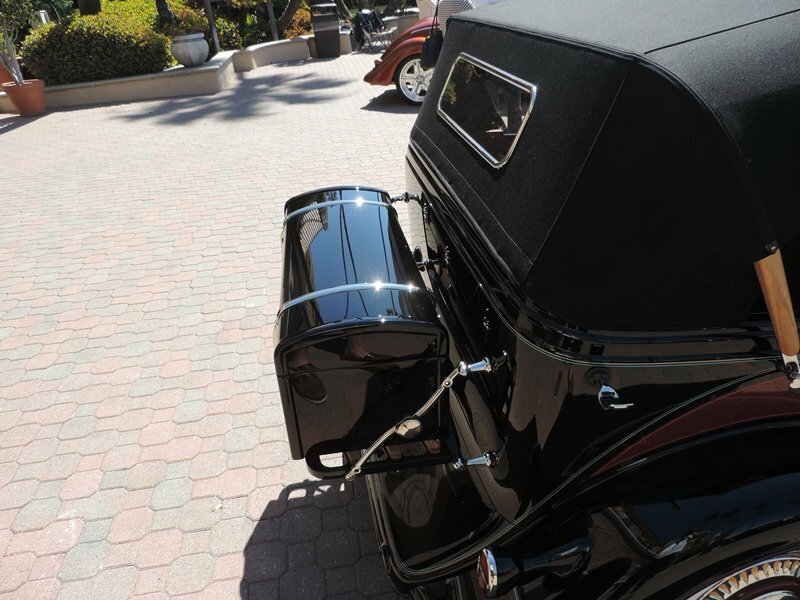 In nearby Escondido, the Cruising Grand car show started on the first Friday in April, which was also the first day of the Goodguys show. This award is issued to a street rod from 1948 or older and must be entered in the Goodguys indoor show. For the Del Mar show there are two buildings utilized for indoor displays. Car owners have to apply to be entered into the indoor displays to have a chance at this award. The winner of the Goodguys 2014 March Performance Street Rod d’Elegance award was a 1935 Chevy Phaeton owned by Wes and Vivian Rydell. 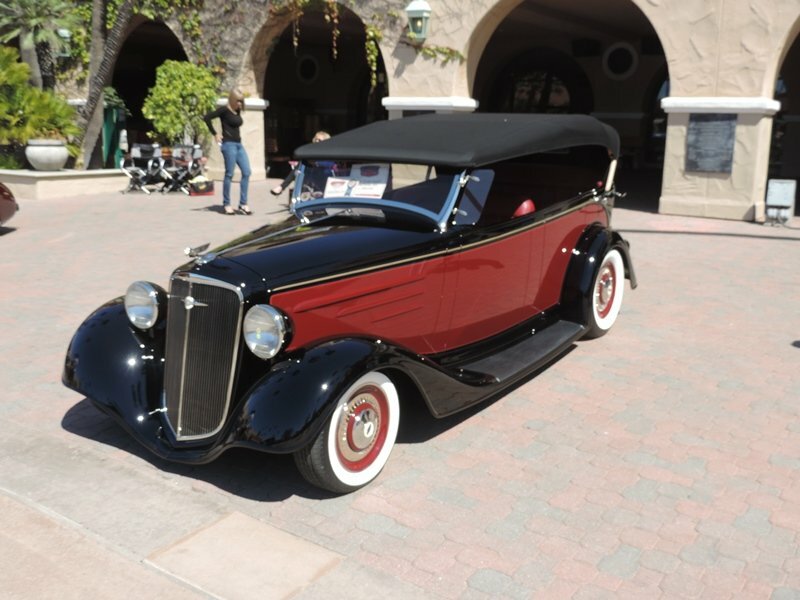 The 35 Chevy was named “Black Bow Tie” and is rather rare in the first place. Couldn’t ask for more gracious and unpretentious owners. They are not strangers to awards either. They won the Detroit Riddler award back in 2002 for another 35 Chevy. I figured this beauty was bound to be the winner when it was announced that Wes Rydell was bringing it out to the Del Mar show. 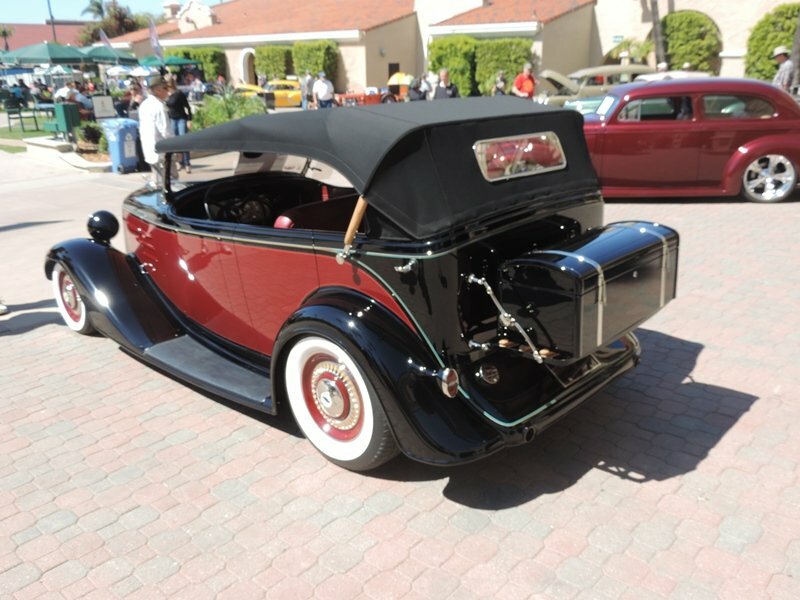 It burst onto the car scene at Pomona, CA where it won the AMBR – America’s Most Beautiful Roadster- award. It also churned up some chatter and angst by some questioning whether it should be considered a “roadster”. But it easily meets the standard and was deserving of the AMBR and now this award as well. Hot Rods by Troy worked on this car and spent a fair amount of time making it look just right. The amount of custom touches is hard to recognize, especially when a stock unit is not close by to compare to. The grill is angled forward and the windshield leans back. 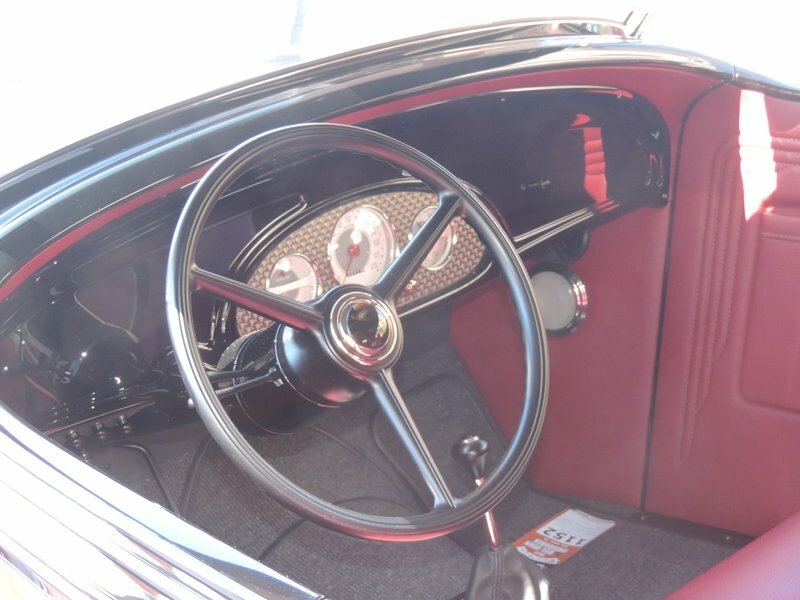 The body was stretched 2 inches and the wheel base has three more inches. 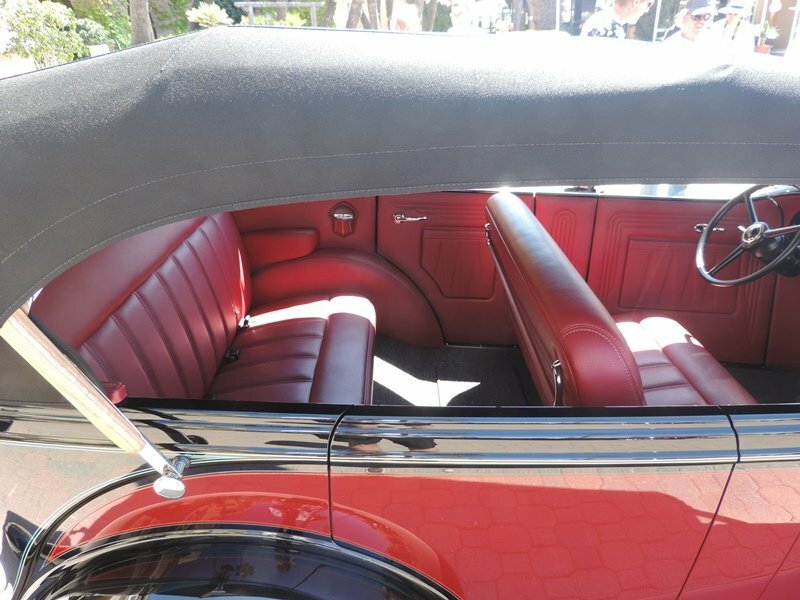 Just check out the room in the rear seat. The rod rides on independent front and rear suspension from Heidt’s. Mike Curtis, who used to work for Boyd Coddington, outdid himself CNC’ing this set of wheels. 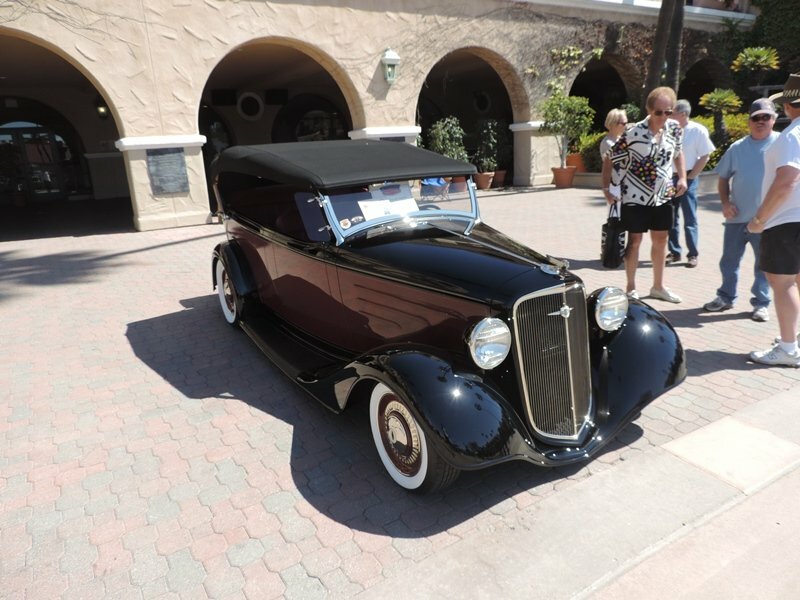 I’m hoping that Wes Rydell will be sharing this awesome ride at other Goodguys shows as they crisscross the country. It is worth the price of admission alone to check out this fabulous ride!